Tollywood hunk Rana Daggubati is at an all time high in his career. For the last one year, the actor has been extremely busy with the shooting of the high budget period flicks ‘Baahubali’ and ‘Rudramadevi’ as well as his high profile Bollywood venture ‘Baby’. This macho young star celebrates his 30th birthday today . In ‘Baahubali’, Rana plays Bhallaladeva, a brother to Prabhas. Rana has already finished his shooting for this year, and is now gearing up for the releases of ‘Rudramadevi’ and ‘Baby’. 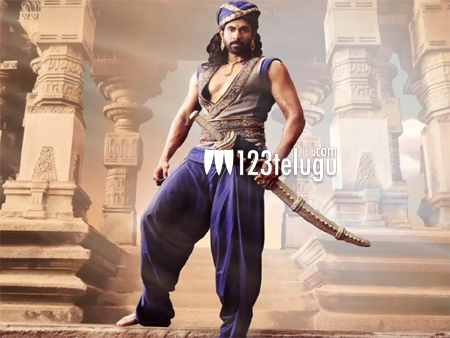 Rana’s first look still as Chalukya Veerabhadra from ‘Rudramadevi’ has already impressed film lovers , while the official trailer of ‘Baby’ is creating a huge storm on YouTube. Baby is gearing up for a January release while ‘Baahubali’ releases in Summer of 2015.